Brio – perfect for keeping a sash window open that doesn’t stay open! 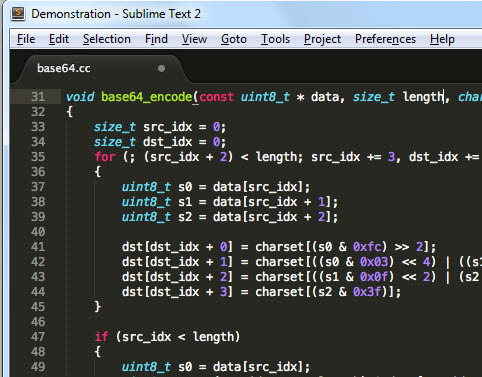 Sublime Text: The text editor you’ll fall in love with…and I really have! I always used to use e-Text Editor on the windows platform as it has a great multi-line selection facility to allow multi-line editing (as per Textmate on Unix). Sublime 2 has taken this way further and it just seems so quick and simple. To get you started – Tuts+ have made a Sublime 2 video course of theirs available for free!